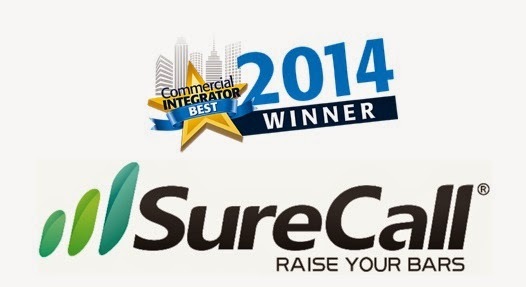 Judged by a panel made up of industry integrators, SureCall's patent pending Force5 won the 2014 top award from Commercial Integrator for best cell booster technology, presented at the recent InfoComm Show. The Commercial Integrator BEST Awards program recognizes the highest quality solutions for integration businesses. The winners were chosen by a panel of industry experts, integrators and the editors of CI and sister publication TechDecisions. Judges based their decisions on innovation, functionality, competitive advantages and benefits to the installer. Some of the determining factors in SureCall’s win was the Force5's separate uplink and downlink lanes, which help eliminate signal collisions and allow for some of the fastest 4G data rates in the industry. Also, when it was first released in 2012, it was the first self-contained cell booster on the market to support 2G, 3G and 4G service for every major carrier. Due to this, the Force5 has become the leading choice of professional installers everywhere. Think the Force5 may help your business? Call the SureCall experts at 3Gstore.com for assistance in making the right decision! Congrats to Jack F. of MT. ENTERPRISE, Texas who just won a $25.00 Restaurant.com gift code for writing a review for Wilson Sleek 4G Universal SmarTech III Cell Phone/Hotspot Cradle Signal Booster - 460107 [700/800/1900/1700/2100mhz] at 3Gstore.com! Every week we randomly pick one product review from the previous week and award the writer a $25.00 gift code. We appreciate ALL the reviews our customers write, whether they are positive or negative - honest reviews like Jack F.\'s help other customers decide if the product is right for them. After you purchase a product from 3Gstore.com, we encourage you to log in and 3Gstore.com and leave a review letting people know how the product worked for you - you'll be helping others, and you'll automatically be entered to win a restaurant.com gift code!. Every thing is just like they said it would be. It's works wonderfully giving me strong signal out here on my construction site where I have to use my phone as a hot spot. Great! Recently Peplink released a case study involving The Town of Tonawanda, NY, which needed a secure and dependable VPN network for their VoIP system. Originally they wanted to use a 3Mbps dedicated MPLS connection that would have cost $96,000 per year and started looking for alternative options. This is where they found the Peplink Balance 1350 capable of aggregating the bandwidth of 13 Fiber/Cable or DSL connections together. This ultimately provides a much more redundant network with seamless transition between different WAN connections if one ISP happens to lose Internet connectivity. In order to make this possible a secure site to site VPN (SpeedFusion) was established to bond 50Mbps Fios and was then backed up by PTP wireless to eliminate downtime and increase bandwidth. Their main headquarters are using the Balance 1350 which runs ADSL to a Balance 710 at site ‘A’ while Fios and proprietary WiFi run SpeedFusion tunnels from site ‘B’ to site ‘H’ running Balance 380 units. All traffic is 256-bit AES encrypted, which is a military grade encryption designed to transfer information safely between all site locations. The Town of Tonawanda can also take advantage of Peplink’s QoS, bandwidth restrictions, WAN traffic prioritization giving them complete control of their network. CHICAGO (BUSINESS WIRE), June 23, 2014 - Sprint (NYSE:S) today announced nationwide availability of HD Voice, as well as 28 new 4G LTE markets and three new Sprint Spark™ markets. To mark the milestones and the network’s improved performance, Sprint also announced a satisfaction guarantee inviting users to experience Sprint service risk-free for 30 days. After a complete rip-and-replace overhaul of its 3G network and the deployment of 4G LTE in 471 markets, Sprint has transformed its network to deliver faster data speeds and improved call quality, with a marked decrease in dropped and blocked calls. New market launches, coverage expansions, and technical network advancements will continue in the coming months. Nationwide availability of Sprint HD Voice, a new Sprint standard for crystal-clear voice calls. Sprint’s HD Voice provides a fuller, more natural-sounding voice, plus noise-cancelling technology that virtually eliminates background noise from places like busy roads or crowded restaurants.1 Sprint currently supports 28 HD Voice-capable postpaid smartphones and 33 prepaid phones. The company estimates approximately 16 million customers are currently using an HD Voice enabled device. 4G LTE in 28 new markets, including Seattle, Cleveland, and San Jose, bringing Sprint’s nationwide 4G LTE footprint to 471 cities covering more than 225 million people. Sprint expects to reach 250 million with 4G LTE coverage by mid-year. Sprint Spark in three new markets (St. Louis, Winston-Salem and Greensboro, N.C.). Sprint Spark is an enhanced LTE service that’s built for data and designed to deliver average wireless speeds of 6-15Mbps and peak wireless speeds of 50-60Mbps today on capable devices, with increasing speed potential over time. Sprint plans to reach 100 million people by year-end with the service. The capability is available in the following 27 cities: Austin, Texas; Baltimore; Chicago; Dallas; Fort Lauderdale, Fla.; Fort Worth, Texas; Houston; Jacksonville, Fla.; Kansas City, Kan./Mo. ; Los Angeles; Miami; New York; Newark, N.J.; Oakland, Calif.; Orlando, Fla.; Philadelphia; Provo, Utah; Salt Lake City; San Antonio; St. Louis; Tacoma, Wash.; Tampa, Fla.; Trenton, N.J; Waukegan, Ill.; Winston-Salem and Greensboro, N.C., and West Palm Beach, Fla.
8T8R radios will soon be deployed for improved coverage and signal strength. The new 8T8R radios transmit more data and boost network reliability, giving Sprint Spark customers better coverage and higher data speeds at 2.5GHz. Sprint is currently field testing its 8T8R equipment and expects to begin commercial deployment this summer. International WiFi calling, slated to be available in the coming weeks, will enable customers to make calls and send texts via WiFi in more than 100 countries. The service makes mobile communications possible virtually anywhere in the world and in nearly any network situation. 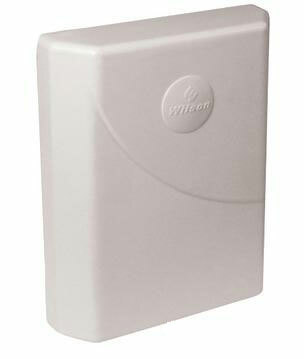 Congrats to Earl P. of Venice, California who just won a $25.00 Restaurant.com gift code for writing a review for Wilson Outdoor Weatherproof Directional Panel Antenna - 304453 (Cables Sold Separately) at 3Gstore.com! Every week we randomly pick one product review from the previous week and award the writer a $25.00 gift code. We appreciate ALL the reviews our customers write, whether they are positive or negative - honest reviews like Earl P.\'s help other customers decide if the product is right for them. After you purchase a product from 3Gstore.com, we encourage you to log in and 3Gstore.com and leave a review letting people know how the product worked for you - you'll be helping others, and you'll automatically be entered to win a restaurant.com gift code!. Of course since you’ll be roaming on the network, you’re likely to incur some hefty fees on top of your regular monthly bill. Although, when it comes down to it, if you depend on mobile broadband with Sprint, you now have a better chance at picking up a faster connection! Recently Pepwave announced their new Media Fast Content Caching routers that come with a built in SSD drive. Initially there were several models available with different radios for cellular carriers, but Pepwave has decided to simplify this releasing two SKU’s for the HD2 Media Fast and HD4 Media fast models. Now for 4G LTE us in US, Canada and South America customers can select the MAX-HD2/HD4-MFA-LTE-US-T and customers in Europe, Asia and Australia can use the MAX-HD2/HD4-MFA-LTE-E-T model. 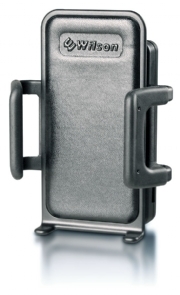 The HD2 MediaFast series feature two embedded cellular radios and a 120GB SSD harddrive where the HD4 MediaFast series offer four embedded cellular radios. The hard drive within the units are designed to cache content to save on bandwidth where you might find multiple people viewing the same webpage or video on the web. Rather than re-downloading the video or content for each user it’s stored locally on the MediaFast router and delivered directly to the user at lighting speed. In addition to content caching the MediaFast models will also track popular URLs and file types so you can monitor exactly what websites and/or files people are downloading over your network. Peplink is running a new challenge for customers running either Peplink Balance or Pepwave Max equipment. 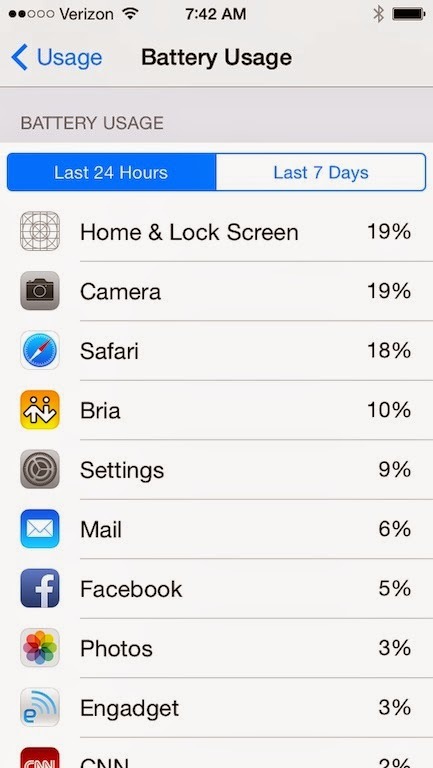 There are two categories customers can enter by using twitter to show their device uptime or usage over the course of a month. To enter you need to tweet #PeplinkRocks with #Uptime and #Usage and include a screenshot of your current device uptime and highest monthly data usage. Previous winners have shown Balance 710’s running 1,131 days and on user managing to rack up 36.7TB of usage in one month! This will go on for each quarter with the next winner to be announced at the end of June. 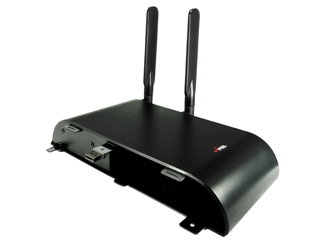 Each winner will receive Peplinks new Balance One unit featuring 1Gbps WAN capability and dual-band 2.4/5Ghz WiFi! Congrats to Mark B. of Millville, California who just won a $25.00 Restaurant.com gift code for writing a review for CradlePoint AT&T/Canada 3G/4G Business Grade Modem Cap for MBR1400/MBR1200B/CBA750 at 3Gstore.com! Every week we randomly pick one product review from the previous week and award the writer a $25.00 gift code. We appreciate ALL the reviews our customers write, whether they are positive or negative - honest reviews like Mark B.\'s help other customers decide if the product is right for them. After you purchase a product from 3Gstore.com, we encourage you to log in and 3Gstore.com and leave a review letting people know how the product worked for you - you'll be helping others, and you'll automatically be entered to win a restaurant.com gift code!. The FCC (in all its glory…) wants to put forth even more regulations this year - this time it’s because they need network providers to take the recommendations for improving cybersecurity they had made back in 2011. This included domain name security, Internet route hijacking measures and an anti-botnet code of conduct, according to FCC Chairman Tom Wheeler. They’ll be checking in with several Internet companies to verify whether these recommendations have been implemented, and if so, whether or not they have been effective. For more details on the speech Wheeler gave at the American Enterprise Institute for Public Policy Research, you can check out the commission document on the FCC website. 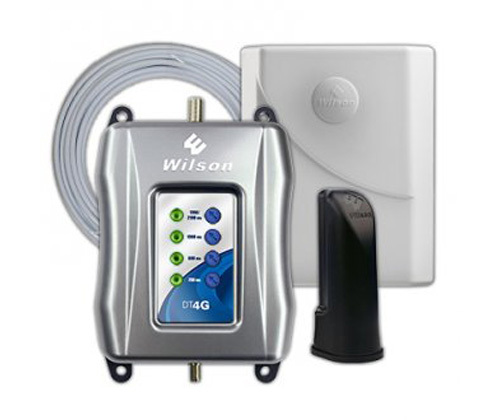 Congrats to Michael L D. of Houston, Texas who just won a $25.00 Restaurant.com gift code for writing a review for Wilson DT4G 60db 5-Band SmarTech III Desktop Repeater Kit - 460101 [700/800/1900/1700/2100mhz] at 3Gstore.com! Every week we randomly pick one product review from the previous week and award the writer a $25.00 gift code. We appreciate ALL the reviews our customers write, whether they are positive or negative - honest reviews like Michael L D.\'s help other customers decide if the product is right for them. After you purchase a product from 3Gstore.com, we encourage you to log in and 3Gstore.com and leave a review letting people know how the product worked for you - you'll be helping others, and you'll automatically be entered to win a restaurant.com gift code!. I was looking forward to exploring this product since I had never dealt directly with this technology. We were attempting to install this unit into a coworker's house which has a tin roof which blocks most of the signal from a mobile tower that is only 200 yards away from the house. Unfortunately, the signal captured by the unit was too strong for the booster unit to handle properly. We opted for a more simplistic setup with an antenna, shielded cable connected to a Verizon Air Card and a compatible modem. This second setup worked great and we were able to boost the performance on the user's laptop from .3 mbs to 6 mbs from anywhere in the house. My user is thrilled with the results. According to Vice several cable companies have been caught Astroturfing by funding various groups that are designed to represent consumers, but are actually cable companies paying outside companies to support their agenda. A few examples are Broadband of America, which is supposed to be a coalition of independent advocacy groups and includes senator John Sununu among their members, is funded a big cable lobbyist NCTA. Another group called American Consumer Institute which is another anti-net neutrality voice of “the people” receives the majority of their funding by the CTIA, which represents the wireless industry. When you find out that most of the voices against Net Neutrality are in fact funded by the cable industry it doesn’t say much about your stance and enforces why everyone but ISP’s are against the proposed changes. 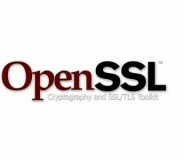 OpenSSL made an announcement today that at least 7 security vulnerabilities were detected with the software. As most of you may recall, this is the same software that was known for the Heartbleed vulneraibility back in April. More details on the vulnerabilities found are reported by OpenSSL here. While some of these are more severe than others, the good news is that they seem to have come up with fixes for each of them. That being said, it’s doubtful that we have another ‘Heartbleed’ on our hands. Still, you’d be wise to educate yourself on the situation and ensure your IT people are on top of things!